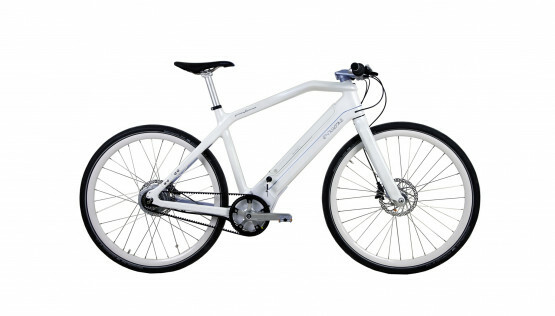 The first Pininfarina electric bike: sporty character and ecofriendly soul. 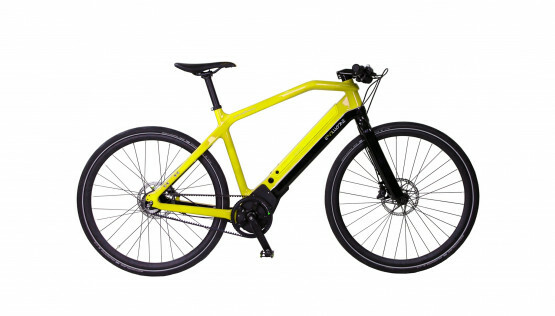 Total integration of the parts: battery, High-end mid motor from German Brose, Integrated handlebar, full carbon frame. State of the art technology and design by Pininfarina. Thanks to the use of CARBON in the frame and in the parts (bar, stem and fork), the bike is super light compared with the competitors on the market. Moreover, the carbon frame is realized with an innovative technology (autoclave carbon). The advantage of lightness is a bike more maneuverable and more performing. 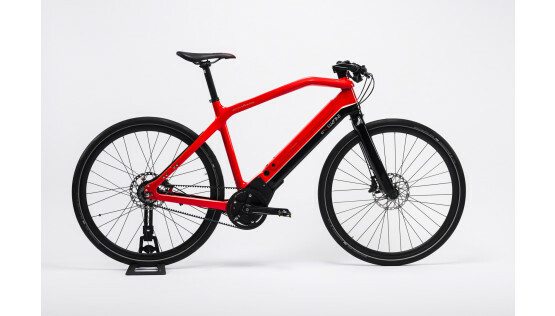 Developed from a holistic design philosophy, all the main parts are perfectly integrated in the bike: the battery (patented technology), the mid-engine, the handlebar and stem, the cockpit, all the cables, the computer. The advantage of a high level of integration of all components is not only aesthetic but also functional because it means a better weight distribution and balance and a more comfortable and performing ride. The high torque Brose mid motor is fully integrated with the carbon frame. The belt drive transmission warranties super silent drive and no maintenance. Also the patented inside the frame Panasonic battery (500W – 13,6Ah – 36V) is fully integrated and easy removable for recharge. The bike is completed by hydraulic disc brakes and Shimano components. For those who love the timeless charm of white, an artwork that satisfies the eye without neglecting the substance. For the "smart" cyclist who loves the grit of colors.